We offer Coal Fired Thermal Fluid Heater that is suited for Indian industries in rapidly changing and undependable energy situations. The vertical design coupled with integral furnace gives you an assurance of a rated output on any solid fuel like coal, wood, husk, bagasse etc. Thermotech's generous design helps in changeover from one fuel to another without compromising on performance. This quality assure product comes from Thermotech, the company known for its expertise of boilers and heaters all over India. Today there are over 1000 Thermotech installations in the country practically in all types of industry reducing time and cost. Reduced Excess Air - Radiant heat exchanger above furnace, cools hence, less excess air is needed. This gives rise to efficiency. Air Preheating - Combustion air from FD fan passes through air pre heater to absorb the waste heat from the fuel gases. This result in further increase in efficiency. Balanced Draught System - This system ensures minimum infiltration of unwanted air through fire doors. Hence, all the combustion air passes through the APH. 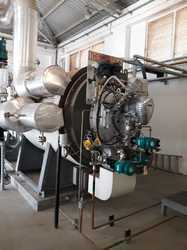 Thus the maximum heat recovery from APH takes place, which ensures rated efficiency. Rated Output - Thermotech's vertical heater model gives you rated efficiency its categorised output. 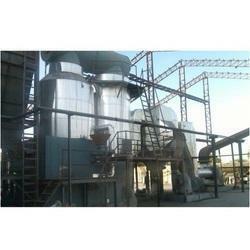 Multifuel Option - The system is suitable for coal, wood etc. for full output with minor modifications in combustion chamber. 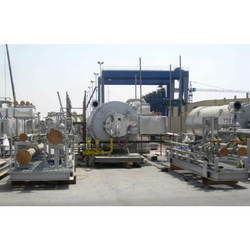 Husk Fired Thermal Fluid Heater offered by us are very popular among our clients for their features and performance. These help homogeneous mixing of fuel, maintain uniform bed temperature, leaves low unburnt fuel along with the dust collector, I.D. and F.D. fan for balance draft to ensure minimum infiltration of unwanted air through doors fresh air passes through air pre-heater ensure maximum fuel to heat operating efficiency for any commercial grade of solid fuel. The vertical four pass thermic fluid heater is suited for indian industries in rapidly changing and undependable energy situation. The vertical design coupled with integral furnace gives you an assurance of rated output on any solid fuel like Coal, Wood, Husk, Bagasee etc. Steam Coal: 3500 kcal / kg. Husk: 3100 kcal / kg. 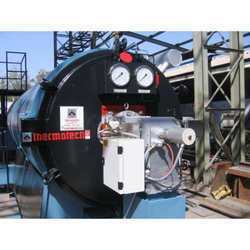 Fired Heaters are one of the most important equipment in any refinery or petrochemical plant. Almost every unit in a refinery needs a fired heater. Also, Heaters are one of the largest consumers of fuel in the refinery and minor improvements in fuel consumption of the fired heaters can lead to quite large savings. Over the past decades, we have built a strong reputation for quality, reliability and performance. We provide cost-effective solutions to clients and get recognized by repeat orders from clients. We have stringent quality systems in place (ISO-9001 certified) to ensure that the equipment supplied by us and/or services provided to clients meet or exceed the contract and regulatory requirements. Our continuous improvement efforts ensure that quality is the essence of all activities at Thermotech. Thermotech had engineered, designed & conquered great success in developing Horizontal Thermic Fluid Heaters suitable for Hazardous Zone. The system comprises of all instruments, burner, safeties confirming to applicable hazardous zone area. The fuel handling system is also designed & supplied as per specific zone requirement. “Thermotech”: Thermic Fluid Heater’s are available in Horizontal & Vertical Models were in the thermic fluid can be heated up to normal 340 oC at near atmospheric pressure with efficiency as high as 92% on GCV of Oil and Gas fuel. Quality Assurance: ISO 9001: 2008 since more than 7 years.